Live the good life in a place where dreams are fulfilled. Set against the backdrop of the famous tourist destination of Mactan in Cebu that is rich with history, scenic spots and modern convenience blend seamlessly, Villas Magallanes gives you the opportunity to live a tourist’s life in a place you can call your home. This master-planned estate follows the island’s theme of elegance with its landscaped gate, that welcome you to the good life. Convenience and exclusivity echoes from its first-class features and amenities such as its Country Clubhouse that houses everything from function room to basketball court to swimming pool to playground. 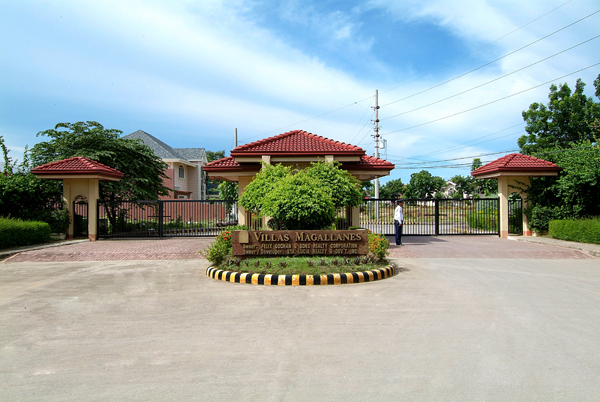 Villas Magallanes Estates, where you can be proud to call it home, developed by Sta. Lucia Realty. Located only walking distance to the new Gaisano Grand Mall and Mactan Doctors Hospital. Famous Mactan beach resorts such as the new Imperial Palace Hotel, Maribago Blue Waters, EGI, Hadsan, etc are only less than 10 mins drive away. Price per sqm starts at 9,500.00 pesos plus 12% VAT. Reservation fee is 5% of Total Selling Price (TSP) valid in 30 days. Downpayment/Equity of 30% payable up to 3 months. Balance of 65% payable in 2 years thru in-house financing or 10 years bank financing. Doc stamp tax, transfer fee, registration fees, notarial fee under the account of the buyer.